If you have lost some TV channels & services that you used to have, or you have moved to a new house and can’t get the TV to work. There is a good chance that the TV needs to be re-tuned to be able to get the TV to work. This blog discusses the reasons behind this and helps you correctly do this for yourself. Why Does The TV Need To Be Tuned In? When you first unbox your TV and perform a first-time installation, you plug it into your TV aerial and scan for TV channels. In order for the live TV to work you will need to tune the TV in to the TV services that your aerial is receiving and delivering to your TV via the coax cable. The TV needs to be “tuned” because there are numerous TV transmitters about each broadcasting on different frequencies and your TV aerial is pointing at one of them. For your TV to know what frequencies it needs to pay attention to and tune into a scan of TV services needs to be performed. As it goes through the scan the TV will find the frequencies being used and store the TV services contained onto channels on the TV. You may be thinking, why don’t all the TV transmitters just use the same frequencies so no tuning process would be required? This is because if each of the transmitters broadcast on the same frequencies they would interfere which one and other and the TV signal and quality would be appalling, likely to break up and pixelate a lot. When two signals collide on a frequency, they act against each other and this is called Co-Channel interference and can completely ruin your TV signal. Residents in the South East of the UK, like my home county of East Sussex will be familiar of Co-Channel interference from the continent in periods of high pressure. If you’re installing the TV for the first time, this process is made very easy for you. In the initial set up wizard, together with connecting to things like the WIFI. You will be brought to a TV tuning menu.You simply select the services that you wish to tune for and the rest is done for you. This process isn’t entirely problem free as your will discover in the rest of this blog. But assuming this has worked once the TV scan for channels has been completed you will store them and then you will be able to view live TV. This is Freeview in the UK and Soarview in Ireland. It has other names in other countries. I can’t describe this process exactly as each different TV manufacturer and model has its own process but it’s usually quite intuitive. Here are few things to help you. This helps store the TV services on the right channels. So BBC1 would become 1 on your TV, BBC2 would be 2, ITV = 3 and so on. It does this by reading the Logical Channel Number (LCN) information within the digital TV signal and stores the service to the correct channel. If you do not select the correct country it will store your TV services on random numbers, so BBC1 could be on 14, Channel 4 could be on 21 instead of 4 and soon. Air – This is for the connection to TV aerials, this may also be called: Antenna or DVB-T or DVB-T2. Cable – This is for cable access TV systems. These are cable TV systems which are not very common. Satellite – Many new TV’s are starting to integrate satellite tuners in them also for a direct connection to a satellite dish, this might be called DVB-S or DVB-S2. This is just a case of picking what region you’re in. Most TV’s give you an option of a primary region, which is the country. A secondary region which is usually a county and a tertiary region, which I have never actually had the need to change but I’m sure that there are circumstances where you will need it other wise it wouldn’t be in the TV. Selecting the region is just so that it organises the correct regional programmes for you. Some transmitters broadcast more than one region, so you can pick your local new essentially, like the Whitehawk Hill transmitter and the Rowridge transmitter where you can select either South or South East regional news. You may also get the option to scan for encrypted TV services. In the UK encryption is not used for UK TV, unless you’re paying for Sky and in any case, you would need a Sky box and subscription to be able to receive these and there is no need to scan the channels anyway. As there are no other encrypted TV services there is no point scanning for these services in the UK, but you may want to abroad where encryption is used on terrestrial TV,like in France for example. The services providers like to move stuff about, for instance the news channels like BBC News and Sky News used to be on channel numbers in the 70’s on Freeview in the UK. Now they begin at 231. The same is true for children’s TV channels and numerous other services. A re-tune will be required to keep these services. Sometimes particular channels move from one broadcasting frequency to another. As your TV will still be paying attention to the old frequency If you don’t re-tune your TV, you will not be able to receive these services as a result of this. From time to time extra TV channels and services get added to the channels available which is nice. In order to receive these services, the TV will need to be re-tuned to pick them up. Ever so often major transmitting works result in the need for TV receivers to be re-tuned. An example of this is the recent movement of services to free up space for 5G. In our area of East Sussex this created the huge movement us services and unless the TV was re-tuned all of your TV channels would have been lost. Whenever this happens you are usually warned beforehand with on screen messages a few weeks prior to the change taking place. It’s a good idea to ensure that you have all the latest services that you periodically re-tune all of your equipment. Once a month would usually be plenty. Just bear in mind, where you’re in areas where you have more than one transmitter coming in on the aerial and reaching the TV your TV could inadvertently store some of the wrong channels which could cause your TV picture to break up and pixelate. For this reason, I recommend manually tuning TV’s where possible to ensure that the correct channels are being added to the TV. There are a couple of ways to re-tune your TV, these are the automatic tuning method and the manual tuning method. Automatic tuning is fine most of the time but as I have already said you can run into problems with it. That being said, many of the new TV’s are sophisticated enough to pick the better-quality signals where the TV is receiving duplicates from more than one TV transmitter. Older models can not do this, and the TV will store the services as it finds them. To automatic tune your TV you need to within the settings menu, find the tuning settings and scan for new settings. I can’t describe this process in great detail as all TV’s are different unfortunately, but I have a video here showing you how to re-tune a Samsung TV. Often the tuning settings are within a menu labelled with a satellite dish or a gear. I recommend where possible to perform a first-time installation or full scan to replace existing services to ensure that all the services are being updated. If you have the time,I recommend disconnecting the TV aerial altogether and running a scan, which will result in zero channels being found and stored. This means that all of the old tuning settings have been deleted ready for your to re-connect the antenna and scan again to find an updated channel list. On the earliest Humax products,the old channels have to be deleted before you can add new services so you would actually have to factory rest the TV before you can re-tune your TV. There could be numerous reasons for this. If you’re getting a low amount of services, like 50 and below. It’s most likely that you have a TV aerial problem or are using a Freeview Lite TV transmitter which only broadcasts a reduced amount of TV channels. If you’re getting more than 150, you’re most likely picking up duplicate TV channels from more than one TV transmitter. If you are getting a few extra on one TV than the other,like up to ten. It’s probable that one of your TV’s Freeview compatible and the other is not. A more detailed answer to this can be found in my previous blog,‘Why Am I Missing TV Services & Channels’. I hoped that you liked this blog. Quite a lot for a simple process like TV tuning but hopefully with the information within you will be able to get yourself out of trouble if the process doesn’t go as planned. If you have lost all of your TV channels after re-tuning. It’s possible that your TV aerial is faulty. There are some things you can try before you call out an aerial company in your area like checking that the coaxial cable is correctly inserted into the aerial or satellite input on the TV, or powering down the equipment and powering back up again after a few minutes. As always, if you have may questions PLEASE LEAVE A COMMENT in the blog section below, providing your comment isn’t just a rant about your TV not working or you are believing that the licence fee is a con (I actually agree with you there) I will get back to and help where I can. I don’t mean to be rude but PLEASE UNDER NO CIRCUMSTANCES RING OUR TELEPHONE LINES, these are reserved for CUSTOMERS ONLY within Sussex & Kent and no one will be able to help you. We are a small company with limited staff, I appreciate it also if you DO NOT E-MAIL your enquiries as this just makes it all too difficult to manage my end. I will be honest I have stopped answering these as I have lost count the amount of times that I have privately answered the same questions. By posting your questions in the blog comment section below everyone reading will get the benefit of the question asked and the answer given. All that being said I will help where I can provide your follow the process specified. Here are 3 of the most popular ways of connecting Smart TV's to the Internet. Read to find the fastest, most reliable way of doing so. If you are installing a TV on the wall & want to know your power options. Read this for all the info you need together with tips & advice. Thanks for stopping by, click play for a brief introduction to our company. 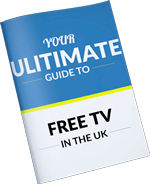 The "UK's leading" guide to making the most of free TV! Your Free Guide is on it's way, please check your e-mail now! "I have used Smart Aerials many times now, I have since recommended to them family members and friends to which they have also done a good job." "Smart Aerials were very helpful from start to finish and resolved a number of challenges in the final stages of the project without issue." "The service was excellent and and to be honest the price did not bother me as it was Tom that I felt comfortable with and he done a cracking job." DIY Guides - How to do it all yourself! Click below to see all of our DIY guides. Perfect if you only have a small job. I think that you have come to the right place, but you may not yet. To make life as easy as possible for you I have tried to create our site which shows us to the best of our ability. What to expect from our service, how we differ from the rest and how using us can actually benefit you!